Marriage matters to God! God intends for this most important relationship to thrive–not just survive–but we often need help along the way! Grace Marriage exists to raise the value of marriage in our community, in our church body, and in our homes. We are here to help you honor, enjoy, and prioritize your marriage. Our resources are personal and practical. We encourage you to take advantage of them because…your marriage matters. Want to enrich or revive your marriage? Then marriage mentoring is for you. We will connect you with a trained mentor couple to provide guidance and insight from God’s Word as they walk with you through the MarriageMentor proven process. Mentoring is Christian community in its finest form. It is the gift of discipleship measured in time and love that can change a relationship and a family for generations. Mentors are not counselors. They are simply God called couples who encourage you to honor, enjoy, and prioritize your marriage. MarriageMentors exists to strengthen the body of Christ–one marriage at a time. 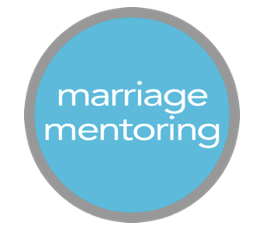 To learn more about becoming a mentor couple or about being mentored, contact us at GraceMarriage@gracefayette.org. When you contact GraceMarriage@gracefayette.org, your email goes directly to the directors of GraceMarriage, Jim and Carolyn Mayo. They will contact you to meet and assess your needs. Because your trust is important, they will handle your information confidentially. If mentoring is for you, they will connect you with a trained mentor couple to begin working through the Devoted curriculum to learn how to apply the Biblical foundations and the practical tools to help every marriage thrive..
Mentoring is designed to benefit every couple–not just those in crisis. Certainly mentoring can help those who are struggling, but can also help the couple wanting to enrich their marriage or take on that recurring issue. Sometimes we need the perspective and insight another couple can bring to help us get back on track. A good marriage can be great and a struggling one can be saved. Your marriage is the most important earthly relationship you have and it deserves some time and intention to make it a priority. Let us help. Cost: $200 per couple including an online assessment and all mentoring materials. You don’t have to be the perfect couple to help another couple thrive. In fact, your past relationship struggles can become your greatest gifts to someone else who is going through the same thing. We will train, encourage, and pray for you as you take on this couple to couple ministry. Mentors are not counselors, just couples letting the Holy Spirit work through them. If you feel God’s call to prepare, enrich, or restore marriages, contact us at GraceMarriage@gracefayette.org. Let us answer your questions and equip you to make a generational impact in a family and for the Kingdom. Cost: Mentor training is free to all Grace couples.